March 8th is National Woman's Day, and I can't think of a better way to celebrate the amazing women in my life than by throwing a tea party! However, when you think tea party it can seem a little daunting. Immediately my mind goes to constricting outfits, lavish table settings, and fussy food, but it doesn't have to be that way. Sometimes you have to just think outside of the box. That is exactly what I did and I can't wait to share it with you! The woman, and dear friend, that I wanted to celebrate this year is Julia. Besides being one of the most talented musicians you will every meet, she an all around beautiful human being. Also, Julia is GETTING MARRIED! We all know that once you get married life changes, and I thought this would be a wonderful opportunity for Julia to get together with her mom, sister, sister-in-laws, and nieces before the big day and just relax and have a good time together. 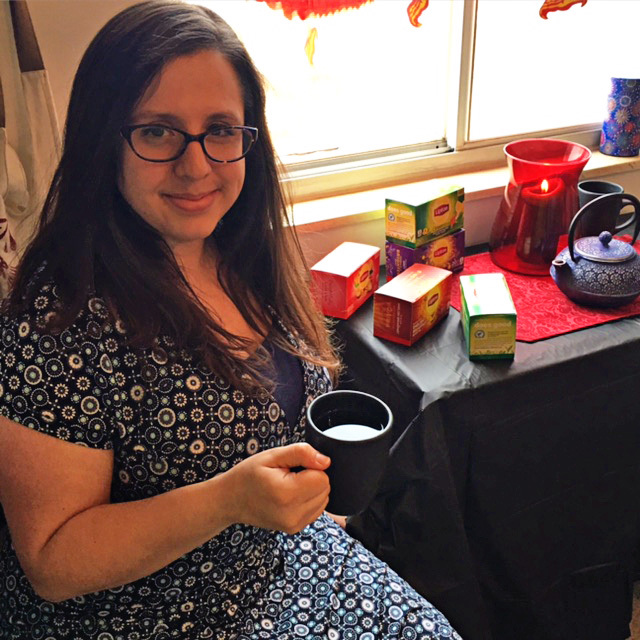 Julia and her family are AVID tea lovers, so it was a no brainer when it came to how we were going to celebrate! 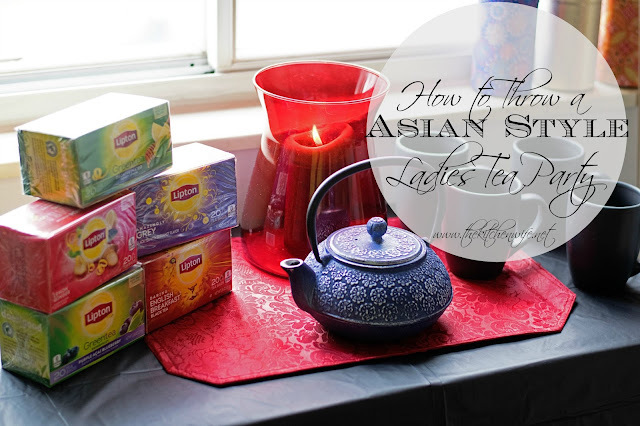 But I didn't want it to be average, so immediately I thought ASIAN STYLE TEA PARTY! The entire decor surrounded around this stunning cast iron tea pot that Julia has. 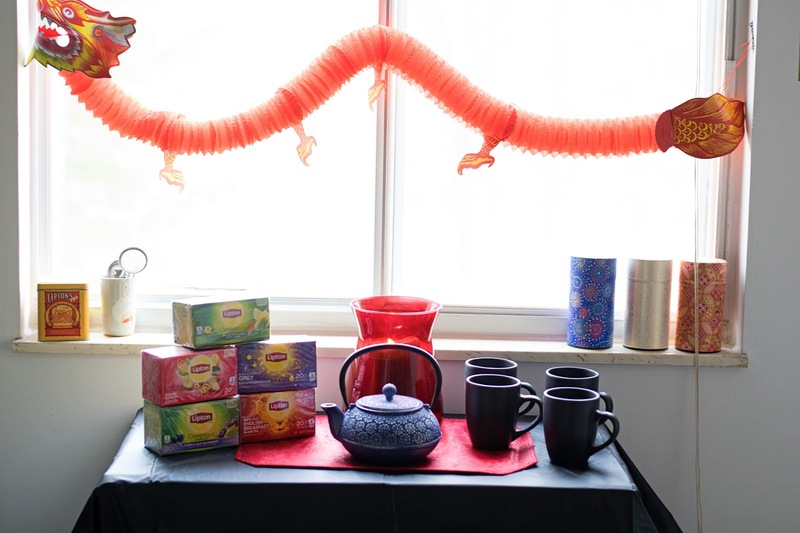 Also, it was the beginning of the Chinese New Year, so I was able to score these whimsical Dragon and Chinese Temple decorations inexpensively. I purchased these beautiful matte black coffee mugs at my local dollar tree, along with the red place mat and black table cloth. When it came time to decided what tea to purchase it was not a hard decision. It was Lipton all the way! Lipton’s new black and herbal varieties and improved green teas refresh the tea experience. 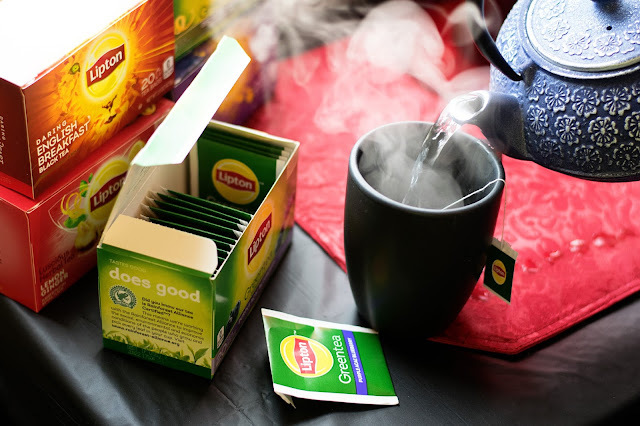 Their light tastes, bold aromas, and real ingredients make Lipton the all-time leader of the pack. I personally am a fan of the Lemon Ginger Herbal Tea with a little raw honey, but several of the ladies enjoyed the Purple Acai Blueberry Green Tea. 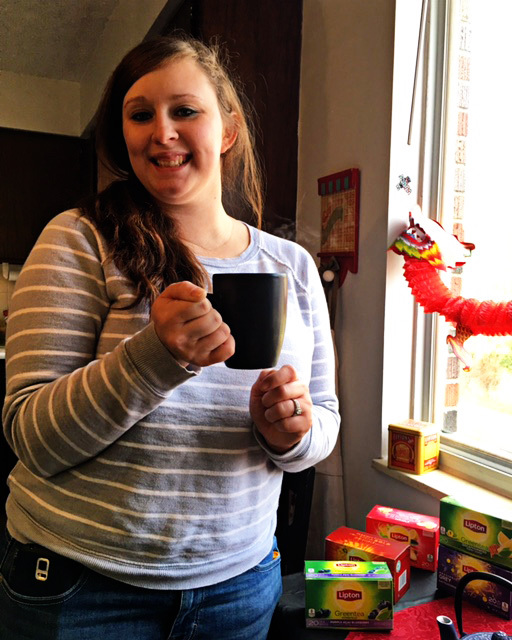 Here is Julia's sister-in-law Brandi enjoying hers! 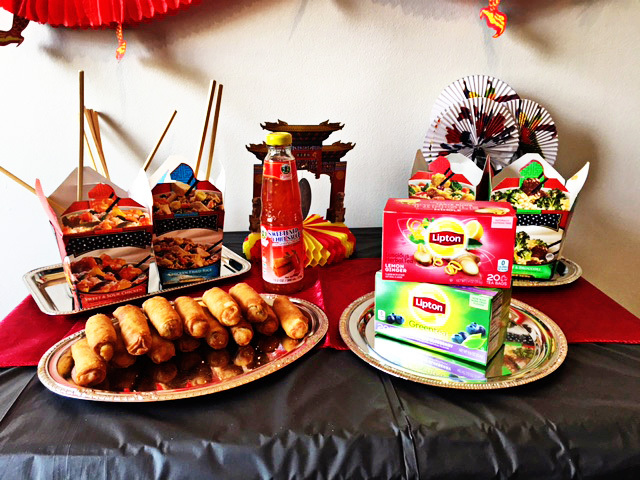 You can't have a successful ladies tea party without fun finger food, and since this was an Asian themed party I kept things simple. I found these great, frozen, take-out options in my local grocery store. I simply popped them in the microwave and in minutes they were done! I have to admit...they were pretty tasty. All-in-all I couldn't have asked for a better evening. I was surround by some incredible women, great food, AMAZING teas. Life doesn't get much better than that! 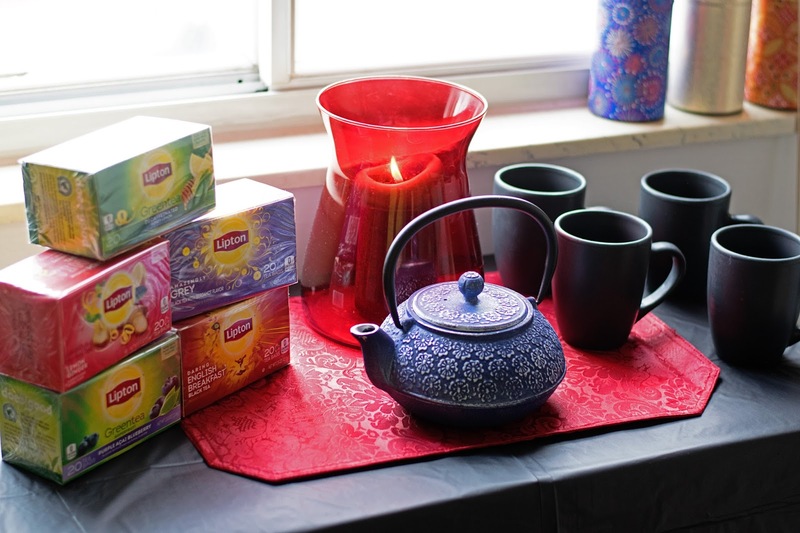 I would love to hear how you celebrate the woman in your life, and if this has inspired you, and you would like to throw your OWN Lipton Tea Party, here is a handy COUPON for $.75 off of one box! 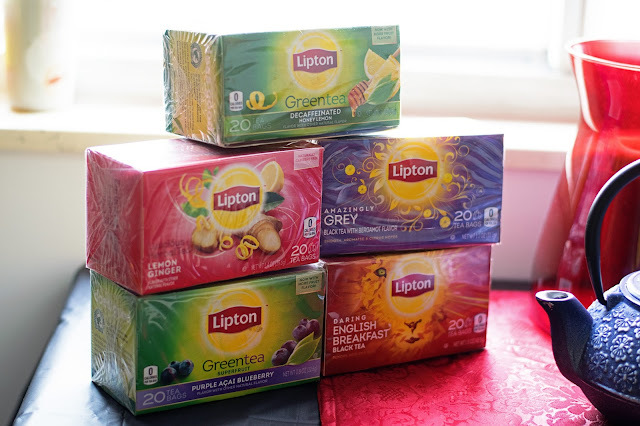 LOVE Lipton and only buy their products. I even take my own tea bags when we are traveling or going out for breakfast. You should have invited me...I am always up for a tea party. Great post.